You just can’t disagree with me if I will tell you that it’s been a long time since we had some roof-blowing comedy movies! So I want to talk about the Jackass 2013 movie that is totally one of the kind! 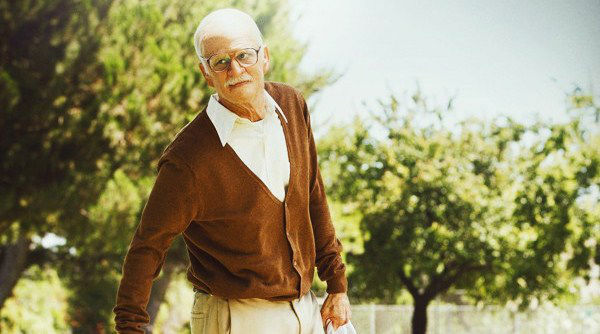 This new movie’s full name is Jackass Presents: Bad Grandpa and it’s going to be the most funny movie this year! And I want to pay an attention to actors from Jackass playing in the Bad Grandpa! Actually there is only one actor from previous movies whom we can see here! But you will not recognize him because he looks 50 years older here and it took more than three hours of doing his makeup to make him look this way! Yes, as you could already understand, I’m talking about Johnny Knoxville as the main character playing in the Bad Grandpa! So there is only one man from previous Jackass movies that stars in Bad Grandpa but the plot and all the ideas were written by the same people who wrote everything for those movies, and I’m telling you about a talented team with a strange but good sense of humor that consists of Jeff Tremaine, Johnny Knoxville and Spike Jonze! I can say that these guys are the best in performing different dangerous, crude self-injuring stunts and pranks, and they certainly know how to do it the most funny way so the movie is going to be really cool and hilarious! And even if you’re not a fan of the Jackass team, still this movie seems to be a bit different from their previous ones, so I assure you that you should watch it! Actors from Jackass playing in the Bad Grandpa / It's time to blow something up!